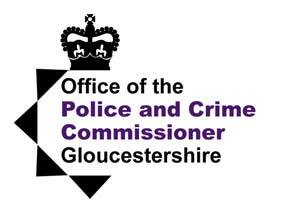 Cheltenham’s night-time economy is one of the safest and best managed in the country. It has gained the nationally recognised Purple Flag award in recognition of a safe, well managed and diverse night out and offer. It was piloted in Manchester in 2003 and found to improve standards in the Evening and Night Time Economy, with premises now competing to participate. It has since been adopted by 75 town and cities across the UK and is now being taken up internationally. The Drinkaware Crew (foremerly known as club hosts) are specially trained staff who work in bars and clubs to reduce drunken anti-social behaviour and help keep people safe. Working in pairs, the club hosts will have a presence in the venue throughout the night, talking to customers at the start of the evening when a queue is forming, supporting customers who are vulnerable due to alcohol and ensuring guests leave safely after the venue has closed. Student Community Patrollers are University of Gloucestershire volunteers, who have been trained to Seccurity Industry Authority (SIA) standard to assist students and non-students who get into difficulty on the popular Monday and Wednesday student nights out. Funded by the Police and Crime Commissioner, the volunteers are highly valued and make a real difference in the community. Community rapid response team supporting the emergency services in Cheltenham's night time economy.